Start your Halloween at the Suncoast Credit Union War on the Peace Dragon Boat Festival! Racing starts at 9 AM on Saturday, October 28, 2017. An Awards Ceremony will take place at the end of the racing with trophies and medals, plus prizes for the best Halloween themed team. Then, stay for Punta Gorda’s Haunting on the Harbor. This sport is team building at its finest and forming a team is easy! Our partners, High Five Dragon Boat, will provide each team with all the necessary equipment (boat, paddles, life vests) to teach your team how to paddle during an introductory practice session (included in your team registration fee). Gather 20 of your co-workers, friends and/or family members and register your team today! 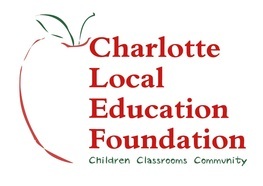 The War on the Peace Dragon Boat Festival benefits the Charlotte Local Education Foundation (CLEF), and its "Take Stock in Children" program, which provides mentoring and a scholarship program for Charlotte County students. Every dollar donated to CLEF is matched by the Florida Prepaid Foundation through state funding. Please visit their web site: www.charlotteschoolfoundation.org. We hope that local teams will want to participate in fundraising efforts for CLEF! Follow War on the Peace on Facebook for dragon boat paddling hints and other event information! This fun and competitive event is open for team registration! A minimum of 20 paddlers and a drummer are needed. Team rosters will allow up to 24 paddlers and a drummer. Each team will receive 1 practice with their team registration fee and will race 3 times during the event. There is no elimination during the competition! Racing will take place at Laishley Park on a 350m straight race course - an optional 2000m race will be held at the end of the day if water conditions allow. Teams will participate in 3 rounds of racing - Round 1 and 2 will be against the clock. Teams will then be seeded into Round 3 based on their combined times from Round 1 and 2. Winners will be awarded in the post-racing awards presentation at approximately 3:00 pm. 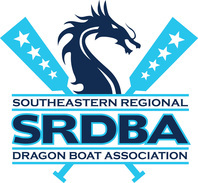 This race is officially registered with the Southeastern Regional Dragon Boat Association and will qualify participating club teams in the 2017 points circuit. Community Team: This entry level is for a group of paddlers from a local business or organization, or a group of friends and/or family members coming together to form a team. Dragon Boat Club Team: This entry level is for established dragon boat club teams that practice together regularly, regardless of their competitive or recreational nature. Breast Cancer Survivor Team: This entry level is for teams comprised of all breast cancer survivors (excluding steersperson). Youth Team: This is for teams that are comprised of paddlers and drummer from 14-22 years of age. Individual Registration: If you are looking to paddle, but don't have a full team, you can "Join a Team" by clicking on the appropriate link below. Please refer to this page often as race day approaches. We will provide all of the resources that you need to successfully manage your dragon boat team for the Suncoast Credit Union War on the Peace Dragon Boat Festival. Click the link below to download a ROSTER for your team. It is a Word document which you can type directly in to. Please utilize this form to submit your official roster to High Five Dragon Boat. FINAL ROSTERS ARE DUE NO LATER THAN MONDAY October 23rd. Rosters can be emailed directly to jill@highfivedragonboat.com when completed. The online waiver of liability must be filled out by each and every team member that will be getting into a dragon boat during practice or race day. If you have paddlers without access to the internet, please contact us directly to make arrangements: jill@highfivedragonboat.com. It will be your responsibility to ensure anyone on your team that has NOT signed it, does so NO LATER THAN MONDAY October 23rd. ALL MISSING WAIVERS MUST BE SUBMITTED AT TEAM CAPTAIN CHECK IN SATURDAY MORNING. Each team will receive a one-hour practice session in the week prior to racing, provided by High Five Dragon Boat. It is mandatory that each team attends at least one practice. We will provide the boats, paddles, life-vests and a coach to each team. Teams are responsible for providing the paddlers and a drummer! We'll teach you all about paddling and racing. Teams should arrive 30 minutes prior to their practice session. To schedule a practice, please click below to see available sessions and then email your request to Jill@highfivedragonboat.com. Each paddler shall only be registered under the name of one team and may not compete for any other team. In no case shall any crew members paddle for more than one team. High Five may make exceptions to this rule as necessary.